Located just north of Indianapolis, Ind., the city of Fishers Parks & Recreation Department is taking center stage—or rather building one. Over the past five years, while the city has taken a comprehensive, strategic approach to building a dynamic suburban downtown, the department amped up the vibe by infusing a little rock n’ roll. In 2012, the department took on the project of defining the downtown Nickel Plate District, named for the historic Nickel Plate Rail Line that runs through Fishers. The city had an overarching goal for this area to not just be a “district” in name, but an area that truly felt like one—with a look and feel that differentiated it from the rest of the city. To do so, it needed an “anchor” point—a place where people would feel compelled to gather. And so the decision was made to build an amphitheater right in the heart of downtown. With less than a $1 million and 90 days to complete the project, department officials were nearly laughed out of the room when speaking with experts in other communities who had taken on similar projects. Yet, on October 13, 2012, the amphitheater hosted its first event and became one of the district’s first major pieces of the puzzle that would define the suburban downtown. 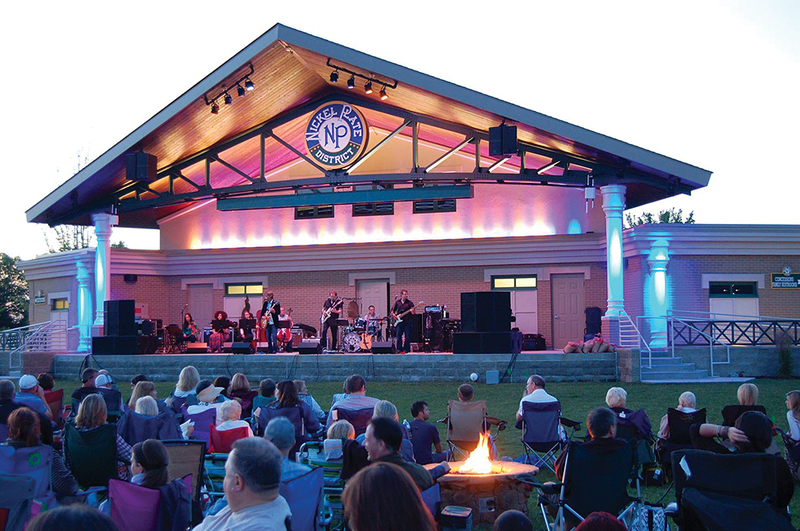 Success continued in the summer of 2013 with a Tuesday night summer concert series, which featured local cover bands. The series—free to the public—plus various cultural arts events, like musical theater and movies in the park, hosted nearly 60,000 people, about 72 percent of the city’s population at the time. 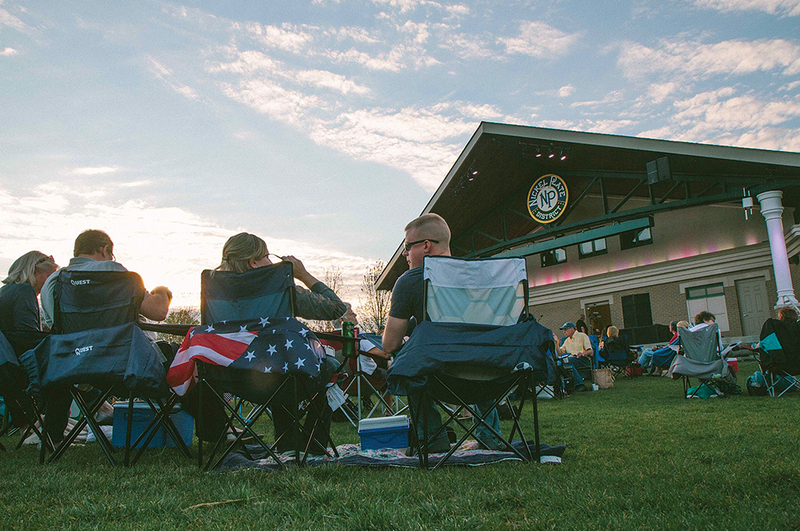 The following year, the city’s parks team put the amphitheater on the map by working with national recording-artist agents to book talent such as Rick Springfield and Eddie Money. The success and ability to lock down these performers was in large part due to the diversity of work experience in the department—specifically, allowing a key part-time staff member affectionately called the Professor of Rock n’ Roll to do what he does best. If it wasn’t apparent when he first joined the team, the Professor proved to be one of the most experienced, talented promoters in Central Indiana. After securing the two artists, the department was more prepared to create meaningful relationships with other agents. The amphitheater increased attendance by 160 percent from year one to year five, hosting more than 160,000 people total. The annual budget was $50,000 for all entertainment at the amphitheater. That figure was supplemented each year with upwards of $200,000 in annual sponsorships and strategic partnerships with local radio stations, contributing an additional $300,000 in annual advertising for the venue—at little or no cost to the parks department. The city’s amphitheater not only created a gathering place—a key driver for downtown development and culture—but also inspired a rare suburban “cool” factor. Today, the challenge is to accommodate the growth in the community. In only a few years, Fishers has experienced rapid growth, both in population and new construction. Since the amphitheater opened, several mixed-use developments have sprouted in the downtown district, bringing with them dining and retail options. Today, The Nickel Plate District incorporates 25,000 square feet of retail, 225,500 square feet of housing and recreation, plus parking garages, including more than 470 spaces attached, with multiple restaurants and amenities all representing more than $430 million in investment in just four years. Because of the city’s rapid growth and the increased popularity of the concert venue, the parks department, in close partnership with Public Works, is currently undertaking a $6-million renovation to increase the size of the amphitheater stage, and dramatically improve lighting, sound, and technical capabilities. The renovation includes a significantly improved lawn area to create an amphitheater “bowl,” better path and ramp accessibility, and amenities for event attendees. The renovations are intended to take what was once a proof-of-concept, a band shell of sorts, and turn it into one of the premier outdoor music venues in the state. The park department will be able to produce a rock show featuring virtually any artist in the world, host a weekly farmer’s market, or provide a space for a local high school theater production. The capability and flexibility of the renovated amphitheater will allow it to serve the community for decades to come. Should we be competing with private-sector concert promoters, or can we work together? Is our venue a community gathering space only, or should it be a revenue driver for the parks department? How does our venue fit into the live-music market in Indiana and the Midwest? These questions will lead to critical policy decisions in the coming years as the city continues to grow. Fishers is not the first to build an amphitheater, and certainly won’t be the last. The community needed a place to gather, and the park department took bold steps to build not only a physical place, but a cultural hub for the city. In doing so, the Nickel Plate District has become a destination—a vibrant place for residents and visitors. The amphitheater is a home for live music, but it is also a catalyst to inspire a hometown. Tony Elliot is the Parks and Recreation Director for the city of Fishers. Ind. Reach him at parks@fishers.in.us.